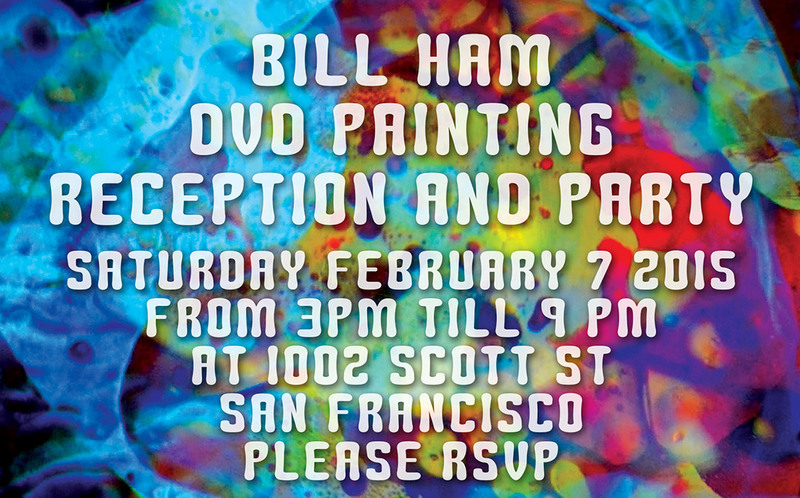 Bill Ham will be hosting a Light Painting DVD Reception and Party on Saturday, February 7, 2015 at 1002 Scott St in San Francisco, CA from 3pm – 9pm. I appreciate the opportunity to show my work in such a splendid space. This allows me to display a good representation of a decade or so of my acrylic paintings on canvass as well as my recently released Light Painting DVD. The DVD is a composition of projected spontaneous imagery following fifty years of development. Desmond Thomas liked this on Facebook. Seb Kong’o liked this on Facebook.